Also, click here to learn more about ELIYAHU/ELIJAH of Malachi 4:5-6. Click here to learn more about YAH’S SALVATION in a deeper way. Check out the teaching on “Who are you/What are you made of?” by clicking here . ……is here already and has been for a very long time, from before the time of Creation…. The English translation is “MESSIAH”. It could also be spelt as “MessiYAH”! What is the MASHIACH/MESSIAH all about? Well, as said above the word means “Anointed One”. The person is anointed by YAHUVEH/YAHWEH GOD Almighty to do great things, the most important of which is DELIVERANCE and REDEMPTION OF MANKIND. We on this earth all need MASHIACH/MESSIAH! It is important to study about the MASHIACH/MESSIAH from a Hebrew perspective as the concept came through the Hebrew Scriptures. The Orthodox Jews consider themselves to be the only Jews in the world, that is to say that they do not accept Messianic Jews as Jews or having any Jewish lineage. The uniting factor amongst them is that they are all still waiting on their Msshiach to appear. Once anyone amongst them starts to claim that the MASHIACH is the Christian one, then they begin to alienate the person because they don’t see that person as one with them at all. I once attended an Orthodox Jewish Synagogue. While there, we learned that the Orthodox Jews don’t believe that the Christians/Messianic Jews and them believe in the same God. They said to us we worship two different Gods because with one God, the Mashiach has come whereas with their God, the Mashiach has not come yet. I was really bewildered by this statement. They claim that once someone admits to accept the Christian MASHIACH/MESSIAH, then they can no longer accepted and/or recognised as Jews). YAH loves the Jewish people so very much and desires that they come to know HIM personally as their ancestors in the days of old. YAH desires that we pray for them and also encourage them to accept The MASHIACH/MESSIAH!!! YAH/ELOHIM says in then Book of Revelation that a true Jew is one who has accepted the one and only true MASHIACH/MESSIAH! 8 To the angel of Messiah’s community in Smyrna write: “Thus says the First and Last, who was dead and came to life. 9 I know your tribulation and your poverty (yet you are rich), as well as the slander of those who say they are Jewish and are not, but are a synagogue of satan. 10 Do not fear what you are about to suffer. Behold, the devil is about to throw some of you into prison, so that you may be tested, and you will have tribulation for ten days. Be faithful until death, and I will give you the crown of life. 9 Behold, I will cause those of the synagogue of satan—who say they are Jewish and are not, but lie—behold, I will cause them to come and bow down before your feet,[a] so that they acknowledge that I have loved you! So, who is a True Jew according the HASHEM (a.k.a YAHUVEH/YAHWEH GOD)? 29 Rather, a person is a Jew inwardly, and circumcision is something that happens in a person’s heart. Circumcision is spiritual, not just a written rule. That person’s praise will come from God, not from people. 29 No, a true Jew is one whose heart is right with God. And true circumcision is not merely obeying the letter of the law; rather, it is a change of heart produced by the Spirit. And a person with a changed heart seeks praise[a] from God, not from people. The Orthodox Jews are waiting on a MASHIACH/MESSIAH to come, be revealed and deliver them out of all their troubles. The Orthodox Jews’ understanding of the Mashiach/Messiah is totally different to that of the rest of the world. They do not see the Mashiach/Messiah as God at all! They see him as a human being who will have divine/supernatural powers to deliver them from all the persecution that they are experiencing. I have learned Prophetically that The Messiah whom the Orthodox Jews are waiting for is in fact The Anti-Messiah/Anti-Christ spoken of by the Christians/Messianic Jews. When he reveals himself to them as their Messiah, he will deceive them with a peace-promise contract which he will eventually break half way through the peace covenant period. YAH says in the Book of Daniel the covenant will be signed and agreed to last for 7 days/a week. These 7 days are a metaphor that YAH used. The 7 days are actually 7 years. These 7 years are referred to today as The Great Tribulation and Time of Jacob’s Trouble. 27 Then he will make a firm covenant with many for one week, but in the middle of the week he will put an end to sacrifice and offering. The Mashiach/Messiah that the Orthodox Jews are waiting for will actually work against them eventually. He will massacre them just like Hitler did. The Mashiach/Messiah they are waiting for (a.k.a The Anti-Messiah) will also desecrate their Temple (Third Temple) which they desire so much to build and City of YAH/ELOHIM (a.k.a Jerusalem) which they desire so much to have back fully. In fact, they are waiting for two Mashiachs. How this came about, I do not know but one thing I do know is that one of the Mashiach will be Ben-David and the other will be Ben-Joseph. One will be greater than the other and in fact will deliver the less greater one from trouble. My belief is that one will be the False Prophet while the other will be the Anti-Messiah. As seen above, The Orthodox Jews’ understanding of the Mashiach/Messiah is totally different to that of the rest of the world. They do not see the Mashiach/Messiah as God at all! They see him as a human being who will have divine/supernatural powers to deliver them from all the persecution that they are experiencing. I have heard that they do not read or even accept Isaiah 53 because the Christians/Messianic Jews keep making reference to it when reaching out to them to encourage them to accept the ONE AND ONLY TRUE MASHIACH/MESSIAH! In December 2017, after the announcement by President Donald J. Trump concerning Jerusalem becoming the official undivided capital of the Holy Land, Israel, the Orthodox Jews are beginning to consider whether President Trump could be the Mashiach/Messiah that they have been waiting for. In fact, they are beginning to dig into his Lineage which can be found in Europe so as to work out whether he has any Jewish relative of any kind who can link him to the Jews. They have also translated his name to the Hebrew Language so as to see if his name has any meaning linked to the Mashiach that they are waiting for. They see Donald J. Trump as a possible Mashiach. Little do they know that they are very mistaken because Donald Trump is just a man a.k.a mankind. YAH (a.k.a GOD) Almighty has revealed that President Donald Trump is actually HIS and their present King Cyrus. 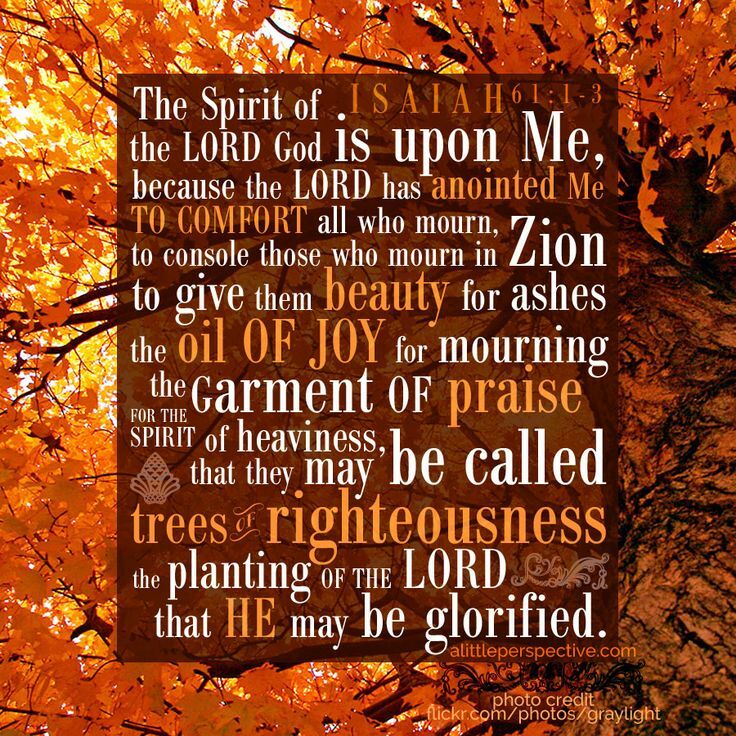 See The Book of Isaiah for more information). Note that the Christian MASHIACH/MESSIAH has a Greek-Latin name. It is difficult for the Orthodox Jews to relate with this unless they are touched by RUACH HA KODESH. They believe that the Jewish Mashiach/MESSIAH should bear a Hebrew name. Remember that the Greeks and Romans always attacked their land and ancestors in the past. They therefore dislike them and desire not any association with their Mashiach/Messiah. 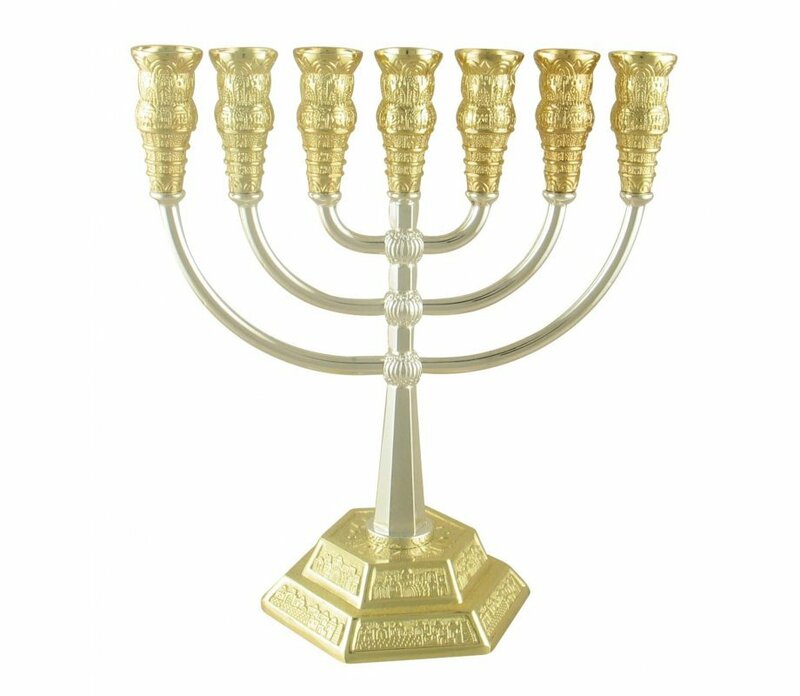 As the CHANUKAH Story narrates, they do not want to be Hellenistic!!! Further on, the Christians do not read, study, observe and/or place emphasis on the TORAH (first five books of the Holy Bible). This gives them great concern as well. They therefore find it hard to see anything to attract them to the Christian MASHIACH/MESSIAH. In fact, the Holy Scriptures they follow are called the Hebrew Bible. Their Hebrew Bible is the equivalent of the Christian/Messianic Jewish Old Covenant/Testament. Both Covenants speak of THE MASHIACH/MESSIAH but in a different way! One needs the help of the RUACH HA KODESH (a.k.a SHKINYINYAH GLORY/IMMAYAH/ HOLY SPIRIT) in order to understand better what is being said by YAHUVEH GOD Almighty! The Old Covenant speaks of THE MASHIACH/MESSIAH in a prophetic way whereas the New Covenant speaks of THE MASHIACH/MESSIAH in a way that reveals that HE is so real. In the New Covenant, THE MASHIACH/MESSIAH comes to life! HE can be felt and touched. The New Covenant lets us know that there is ONLY ONE TRUE MASHIACH/MESSIAH. THE ALEPH/ALEF and TAV (that is to say, the “eth”)!!! 7 Behold! He appears[a] within the clouds,[b] and every eye will see him, even those who pierced him. [c] And all the people groups of the earth will weep with sorrow because of him. And so it is to be! Amen. 9 I, John, am your brother and companion in tribulation,[e] the kingdom,[f]and the patience that are found in Jesus. [g] I was exiled on the island of Patmos[h] because of the ministry of the word of God and the testimony of Jesus. THE MESSIAH (also written as MessiYAH) is THE SAVIOUR and REDEEMER!!! 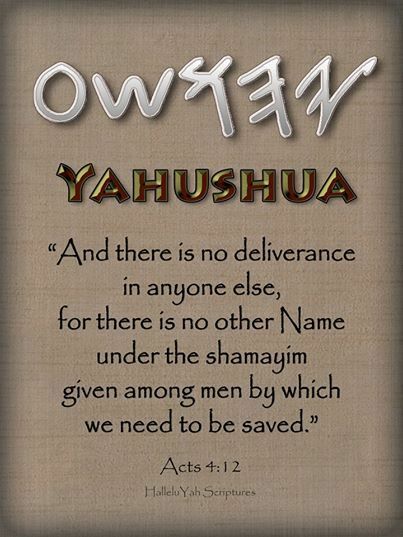 According to Romans 11, the Jews/Israelites by birth rejected YAHUSHUA as their MASHIACH/MESSIAH and as a result YAHUSHUA reached out to the Gentiles. Whichever gentile who accepted YAHUSHUA as MASHIACH/MESSIAH was adopted as a Jew and Israel/Israelite. He or she may not be a Jew by birth but by YAHUSHUA’S Blood, he or she is a Spiritual Jew and Spiritual Israel/Israelite. Every Faithful Messianic Jew/Christian is a A/The True Jew and Israel/Israelite before YAHUVEH/YAHWEH GOD!!! 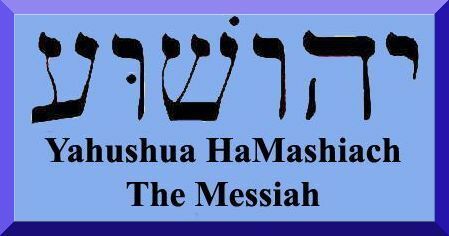 There is ONLY ONE TRUE MASHIACH/MESSIAH! HE is known around the world as JESUS CHRIST and YESHUA as well as other language translations however HE does have an original Hebrew name which we are all obliged to learn and be accustomed to using daily. Some write HIS name as “YAHUSHA” or “YAHSHUA”. This is still okay with HIM as revealed through YAH’S Amightywind Ministry. “YAH’S SALVATION” or “YAH saves”. 42 But I know you, that you do not have the love of God in yourselves. 43 I have come in My Father’s name, and you do not receive Me. But if another comes in his own name, you will receive him. 44 How can you believe, when you receive glory from one another and you do not seek the glory that comes from God alone? 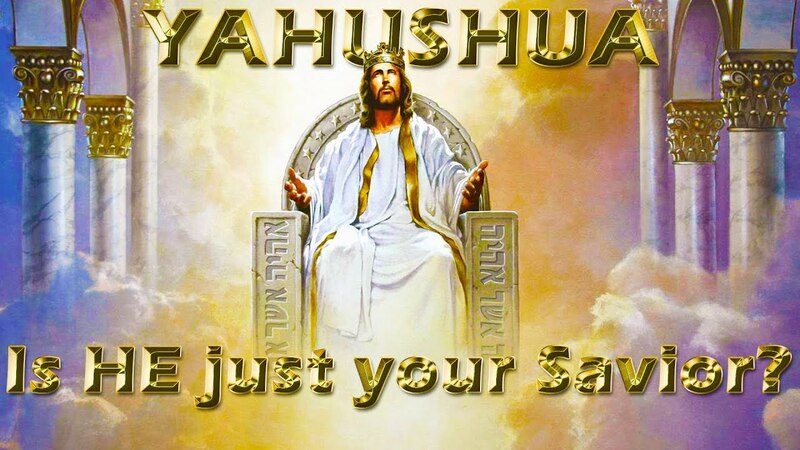 If YAHUSHUA (a.k.a JESUS CHRIST/YESHUA, etc) came in HIS FATHER’S name which is “YAHUVEH” (but also translated as “YAHWEH”), then HIS original name can certainly not be “JESUS CHRIST or YESHUA”!!! The MESSIAH YAHUSHUA’S name has to have emerged from HIS FATHER’S name! YAHUSHUA spent most of HIS lifetime in the Land of ISRAEL meaning HE would have a Hebrew name, HE was raised in Hebrew Culture and Traditions speaking the Hebrew and Aramaic Languages. Why then would HE have a Greek-Latin name (JESUS CHRIST)? And why would some Messianic Jews/Christians cut his name short to “YESHUA” just because they are afraid of offending the Orthodox Jews? Who are we to be more afraid of “YAH” (a.k.a GOD) Almighty or mankind? 12 Meanwhile, when many thousands of the crowd had gathered so that they were trampling on one another, Jesus began to speak first to his disciples, “Be on your guard against the yeast of the Pharisees, which is hypocrisy. 2 Nothing is hidden that will not be revealed, and nothing is secret that will not be made known. 3 So then whatever you have said in the dark will be heard in the light, and what you have whispered in private rooms will be proclaimed from the housetops. 4 “I tell you, my friends, do not be afraid of those who kill the body, and after that have nothing more they can do. 5 But I will warn you whom you should fear: Fear the one who, after the killing, has authority to throw you into hell. Yes, I tell you, fear him! 6 Aren’t five sparrows sold for two pennies? Yet not one of them is forgotten before God. 7 In fact, even the hairs on your head are all numbered. Do not be afraid; you are more valuable than many sparrows. The Messiah’s originally well known and recognised name in Heaven (especially by the angels including ha-satan before banishment from heaven) and on earth from the beginning of time is “YAHUSHUA”. This was changed to “JESUS CHRIST (and later various languages as see today)” by the Greeks / Romans when translating the Hebrew scrolls into their language thereby losing the original name. GOD THE FATHER then anointed the name “JESUS CHRIST”and its various translations to work for us on earth so as to save as many people as possible from eternal death but only until the start of the GREAT TRIBULATION / TIME OF JACOB’S TROUBLE. When the GREAT TRIBULATION / TIME OF JACOB’S TROUBLE, the name, “YAHUSHUA” will save HIS people! YAHUSHUA’S NAME IS ABOVE EVERY OTHER NAME ON EARTH AND IN THE HEAVENS!!! YAHUSHUA’S name is Higher Above every other name in heaven and on earth including the names “JESUS CHRIST” and “YESHUA”! (Acts 4:12; Philippians 2:9). 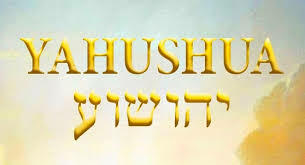 The name “YAHUSHUA” has a much greater or higher anointing than the name JESUS CHRIST and YESHUA as well as every other translation of the name. This has been revealed through various YAH’S Amightywind Ministry Prophecies particularly Prophecy 90. There’s currently Healing, Saving, Delivering Power in the name “JESUS CHRIST” and all its various translations around the world however in the Great Tribulation (a.k.a Time of Jacob’s Trouble) which is not too far off from us, the beloved name “JESUS CHRIST” and all its various translations around the world will not work for mankind. In the Great Tribulation, YAHUVEH/YAHWEH GOD Almighty will not hear any prayers said in the name “JESUS CHRIST” and all its various translations around the world including “YESHUA”! This is why we are being encouraged through YAH’S Amightywind Ministry to learn the original Hebrew name of the one and only true MESSIAH which is “YAHUSHUA”!!! Revelation has come forth (through AMIGHTYWIND MINISTRY prophecies) that the name “JESUS CHRIST” has an EXPIRY DATE for working for man-kind. GOD’S name in Hebrew as originally set out in the scriptures is “YAH”. “YAH” is the HOLY Family Name for the HOLY TRINITY GODHEAD. Each person of the HOLY TRINITY has and must have the name “YAH” in their name. The SACRED HEBREW NAMES OF GOD are the ONLY names which will work for mankind (to bring about YAH’S SALVATION) in the GREAT TRIBULATION / TIME OF JACOB’S TROUBLE when called upon or prayed through. This is why we emphasise that the correct spelling of the Messiah’s name is “YAHUSHUA”. We might get away with GOD THE FATHER’S name being in any format with “YAH” in it but we will not get away with the Messiah’s name being in any format because the Anti-Messiah (also known as Anti-Christ) will use the name “JESUS CHRIST” (as well as whatever its translations into any language) to deceive mankind. Satan cannot use GOD’S name with “YAH” in it! Note that YAHUSHUA was conceived through (the power of) the RUACH HA KODESH / HOLY SPIRIT and born to a virgin named Miriam / Miryam (a.k.a Mary) as seen in Matthew 1. His earthly (but not biological) father was Yosef (Joseph) while HIS biological (Heavenly) FATHER is ABBA YAHUVEH / YAHWEH. YAHUSHUA was mostly based in eretz Y’israel (the land of Israel) and obviously spoke in Hebrew and Aramaic. YAHUSHUA was born in Bethlehem (means the HOUSE OF BREAD, in Hebrew) in the land of Yahudah / Judah. YAHUSHUA was raised in Yahudim / Jewish culture. HE therefore observed the GODLY customs and traditions that the Orthodox Jews still practise to-date. These include the yearly MOEDIM (Appointments / Feasts of YAH) as set by YAH HIMSELF (not man!). YAHUSHUA’S original / birth name can therefore NOT be JESUS CHRIST because Jesus Christ is a Greek / Latin name!!! YAHUSHUA HA MASHIACH (also known as YESHUA / JESUS CHRIST) is the only begotten SON of GOD THE FATHER – YAHUVEH / YAHWEH. 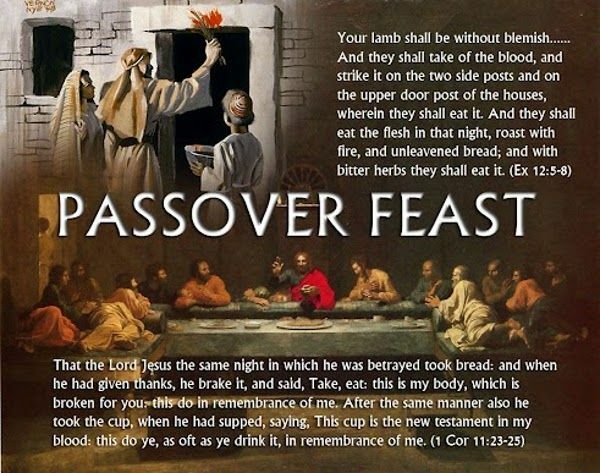 YAHUSHUA is the perfect PASSOVER LAMB OF YAHUVEH/YAHWEH GOD Almighty! This implies that YAHUSHUA HA MASHIACH was the final lamb without blemish to be sacrificed unto GOD THE FATHER as a sin sacrifice! YAHUSHUA is the eternal WORD OF GOD THE FATHER! The WORD OF GOD THE FATHER was made flesh years ago in the land of Israel in order to save us, mankind, from the power of sin and death. 1 In the beginning the Word already existed. The Word was with God, and the Word was God. 2 He was already with God in the beginning. 3 Everything came into existence through him. Not one thing that exists was made without him. 4 He was the source of life, and that life was the light for humanity. It was through YAHUSHUA that all things were created and/or formed in the entire world, that is to say Heavens and the Earth. YAHUVEH GOD Almighty spoke forth YAHUSHUA to create things and SHKINYINYAH GLORY (a.k.a HOLY SPIRIT) decorated those things with sound, colours and smells, etc. This is revealed in YAH’S Amightywind Ministry Prophecy 89 and 90. 11 so My word will be that goes out from My mouth. and will succeed in what I sent it for. It was YAHUSHUA that YAHUVEH GOD Almighty sent forth to Adam and Eve to deliver and comfort them after they left the Garden of Eden. First Book of Adam and Eve Chapter 28- The Devil pretends to lead Adam and Eve to the water to bathe. 1 But when the crafty Satan saw them, that they were going to the garden, he gathered together his host, and came in appearance on a cloud, intent on deceiving them. 2 But when Adam and Eve saw him thus in a vision, they thought they were angels of God come to comfort them about having left the garden, or to bring them back again into it. 3 And Adam spread his hands before God, beseeching Him to make him understand what they were. 4 Then Satan, the hater of all good, said to Adam, “O Adam, I am an angel of the great God; and, behold the hosts that surround me. 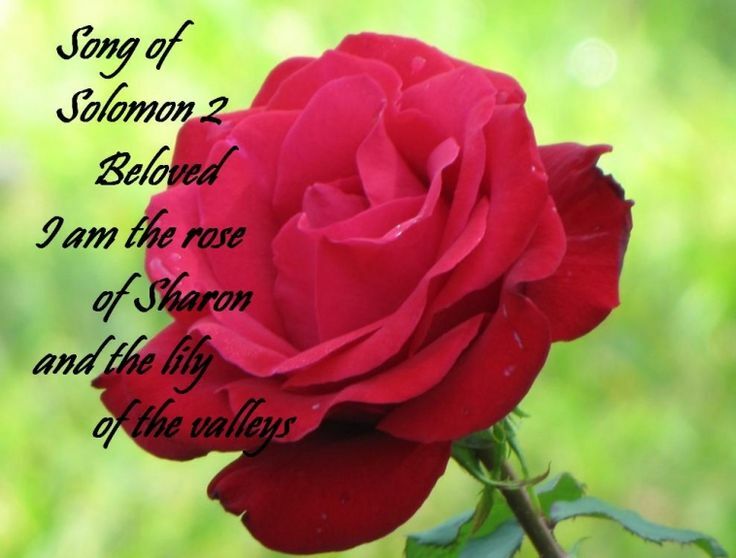 5 God has sent us to take you and bring you to the border of the garden northwards; to the shore of the clear sea, and bathe you and Eve in it, and raise you to your former gladness, that you return again to the garden.” 6 These words sank into the heart of Adam and Eve. 7 Yet God withheld His Word from Adam, and did not make him understand at once, but waited to see his strength; whether he would be overcome as Eve was when in the garden, or whether he would prevail. 8 Then Satan called to Adam and Eve, and said, “Behold, we go to the sea of water,” and they began to go. 9 And Adam and Eve followed them at some little distance. 10 But when they came to the mountain to the north of the garden, a very high mountain, without any steps to the top of it, the Devil drew near to Adam and Eve, and made them go up to the top in reality, and not in a vision; wishing, as he did, to throw them down and kill them, and to wipe off their name from the earth; so that this earth should remain to him and his hosts alone. First Book of Adam and Eve Chapter 29- God tells Adam of the Devil’s purpose. (v. 4). 1 But when the merciful God saw that Satan wished to kill Adam with his many tricks, and saw that Adam was meek and without guile, God spoke to Satan in a loud voice, and cursed him. 2 Then he and his hosts fled, and Adam and Eve remained standing on the top of the mountain, from there they saw below them the wide world, high above which they were. But they saw none of the host which time after time were by them. 3 They cried, both Adam and Eve, before God, and begged for forgiveness of Him. 4 Then came the Word from God to Adam, and said to him, “Know you and understand concerning this Satan, that he seeks to deceive you and your descendants after you.“ 5 And Adam cried before the Lord God, and begged and prayed to Him to give him something from the garden, as a token to him, wherein to be comforted. 6 And God considered Adam’s thought, and sent the angel Michael as far as the sea that reaches India, to take from there golden rods and bring them to Adam. 7 This did God in His wisdom in order that these golden rods, being with Adam in the cave, should shine forth with light in the night around him, and put an end to his fear of the darkness. 8 Then the angel Michael went down by God’s order, took golden rods, as God had commanded him, and brought them to God. YAHUSHUA is the TORAH (John 1:1)! 17 “Do not think that I came to abolish the Torah or the Prophets! I did not come to abolish, but to fulfill. 18 Amen, I tell you, until heaven and earth pass away, not the smallest letter or serif[a] shall ever pass away from the Torah until all things come to pass. 19 Therefore, whoever breaks one of the least of these commandments, and teaches others the same, shall be called least in the kingdom of heaven. But whoever keeps and teaches them, this one shall be called great in the kingdom of heaven. 20 For I tell you that unless your righteousness exceeds that of the Pharisees and Torah scholars, you shall never enter the kingdom of heaven! 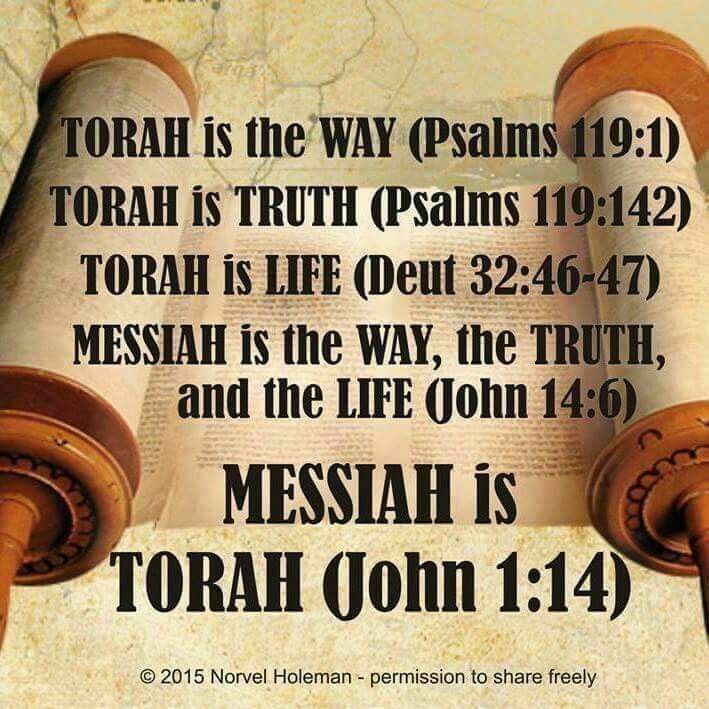 TORAH is THE WAY, THE TRUTH and THE LIFE (John 14:6)! YAHUSHUA is the BREAD OF LIFE (John 6)! Whoever eats of HIM, will NEVER HUNGER again! Interestingly enough, YAHUSHUA was born in the HOUSE OF BREAD (BETH-LE-HEM) in the Land of YAHUDAH (a.k.a JUDAH which means YAH BE PRAISED). YAHUSHUA is the LIVING WATERS (John 4)! Whoever drinks of HIM will NEVER THIRST again! 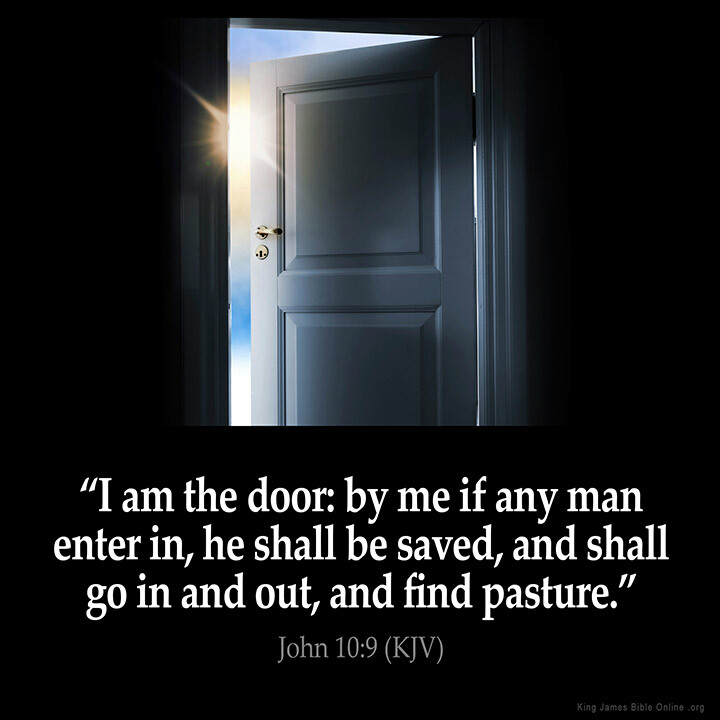 YAHUSHUA is the ONLY DOOR / GATE for the SHEEPFOLD to enter and be saved from satan and his demons (John 10:9). There is no other way. Every other way leads to hell where satan / the devil and his demons dwell. YAHUSHUA is The COHEN HA GADOL/GREAT HIGH PRIEST. 14 We need to hold on to our declaration of faith: We have a superior chief priest who has gone through the heavens. That person is (YAHUSHUA) Yeshua, the Son of God. 15 We have a chief priest who is able to sympathize with our weaknesses. He was tempted in every way that we are, but he didn’t sin. 16 So we can go confidently to the throne of God’s kindness[a] to receive mercy and find kindness, which will help us at the right time. YAHUSHUA is our GREAT HIGH PRIEST (like the High Priest in the TANAKH/TANACH who represented GOD’S people in the Tabernacle of Moses). As a HIGH PRIEST, YAHUSHUA bridges the gap between GOD THE FATHER and us through HIS Shed Blood. YAHUSHUA is the (HOLY) BRIDEGROOM of those who have accepted HIM and HIS BLOOD SACRIFICE. We await HIS return daily. Only GOD THE FATHER has chosen and determined the BRIDE OF YAHUSHUA and only HE knows when the wedding will take place. This earthly realm is a place and time of preparation. The reward will be given in Heaven. YAHUSHUA is the ONLY WAY, THE TRUTH AND THE LIFE, NO-ONE GOES TO GOD THE FATHER except through HIM! 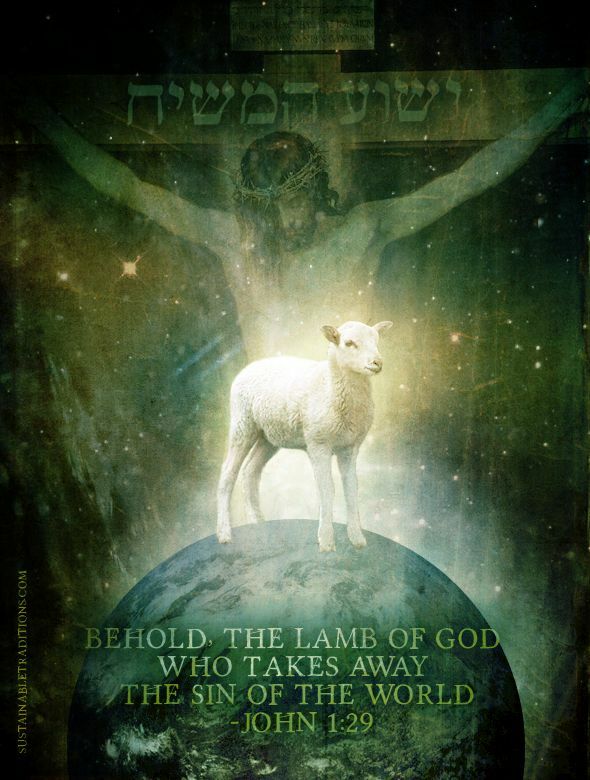 YAHUSHUA is the GOOD SHEPHERD and we are HIS SHEEP (John 10; Psalm 23). 11 “I am the Good Shepherd. [a] The Good Shepherd lays down His life for the sheep. 12 The hired worker is not the shepherd, and the sheep are not his own. He sees the wolf coming and abandons the sheep and flees. Then the wolf snatches and scatters the sheep. 13 The man is only a hired hand and does not care about the sheep. 14 “I am the Good Shepherd. I know My own and My own know Me, 15 just as the Father knows Me and I know the Father. And I lay down My life for the sheep. 16 I have other sheep that are not from this fold; those also I must lead, and they will listen to My voice. So there shall be one flock, one Shepherd. Adonai is my shepherd, I shall not want. YAHUSHUA is THE RESURRECTION and THE LIFE! We believe YAHUSHUA ha MASHIACH has COMPLETE VICTORY over Satan (whose original name is Azazel) and the kingdom of hell and YAHUSHUA has passed on that VICTORY to us (Matthew 28; Luke 10:19). 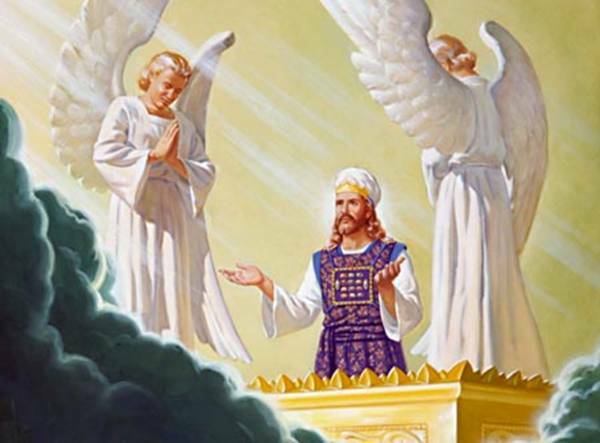 YAHUSHUA after resurrecting from the dead, ascended to Heaven and is seated at the right hand of GOD THE FATHER. 17 When I saw Him, I fell at His feet like a dead man. [a] But He placed His right hand on me, saying, “Do not be afraid! I am the First and the Last,[b] 18 and the One who lives. I was dead, but look—I am alive forever and ever! Moreover, I hold the keys of death and Sheol. [c] 19 Therefore write down what you have seen, what is, and what will happen after these things. 17 When I saw him, I fell down at his feet like a dead man. Then he laid his right hand on me and said, “Don’t be afraid! I am the first and the last, 18 the living one. I was dead, but now I am alive forever. I have the keys of death and hell. 19 Therefore, write down what you have seen, what is, and what is going to happen after these things. 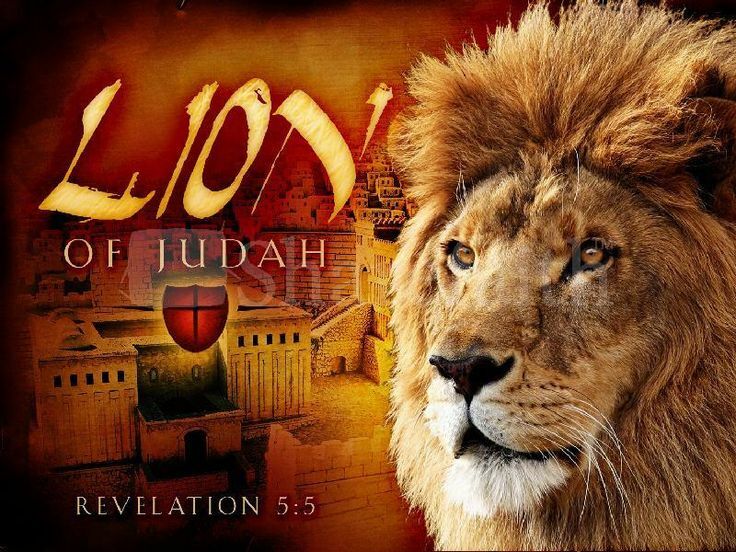 YAHUSHUA is the LION OF THE TRIBE OF YAHUDAH (JUDAH) and the Lamb of ABBA YAHUVEH / YAHWEH. YAHUSHUA is the LIGHT OF THE WORLD and the LAMP UNTO OUR FEET. GOD THE HOLY SPIRIT is the OIL that keeps the LIGHT shining (and bright) and the LAMP burning. YAHUSHUA’S BLOOD has Saving, Delivering, Healing/Restoring Power! HE shed HIS blood for us for the REMISSION OF SINS that we may be RECONCILED unto GOD THE FATHER YAHUVEH / YAHWEH plus be delivered from the POWER of SIN and DEATH. As stated in Yahuchanan / John 3:16), GOD THE FATHER sent HIS SON, YAHUSHUA HA MASHIACH to the earth more than 2000 years ago to die on the cross for we, mankind’s sin. We believe that YAHUSHUA was crucified and died at Golgotha / Calvary (means place of the skull in Hebrew). YAHUSHUA is the ONLY PERFECT LAMB OF GOD (NO SIN / BLEMISH) and therefore the only acceptable and FINAL SIN SACRIFICE for our sins. YAHUSHUA HA MASHIACH was a sin sacrifice unto ABBA YAHUVEH / YAHWEH that we may be reconciled unto ABBA YAHUVEH / YAHWEH and also have a chance to spend eternity with YAH in the Shammayim (Heavens) after death. 7 But if we live in the light in the same way that God is in the light, we have a relationship with each other. And the blood of his Son Yeshua cleanses us from every sin. 8 If we say, “We aren’t sinful” we are deceiving ourselves, and the truth is not in us. 23 and to the assembly of the firstborn[a] who are written in a scroll in heaven,[b] and to God the Judge of all, and to the spirits of the righteous ones made perfect, 24 and to Yeshua, the Mediator of a new covenant, and to the sprinkled blood that speaks of something better than the blood of Abel. 25 See to it that you do not refuse the One who is speaking! For if they did not escape when they refused the One who was warning them on earth, much less will we escape if we reject the One who warns us from heaven. 18 Now where there is removal of these, there is no longer an offering for sin. 19 Therefore, brothers and sisters, we have boldness to enter into the Holies by the blood of Yeshua. 20 He inaugurated a new and living way for us through the curtain—that is, His flesh. YAHUSHUA is our DELIVERER, REDEEMER, HEALER/RESTORER! 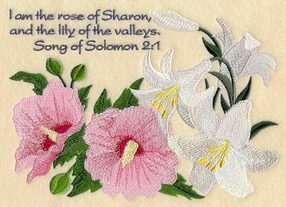 YAHUSHUA is the ROSE OF SHARON. YAHUSHUA is the SPIRITUAL BRIDEGROOM of HIS true believers and faithful followers. Matthew 22, Matthew 25, Revelation 7 and Revelation 14 give more information on this. 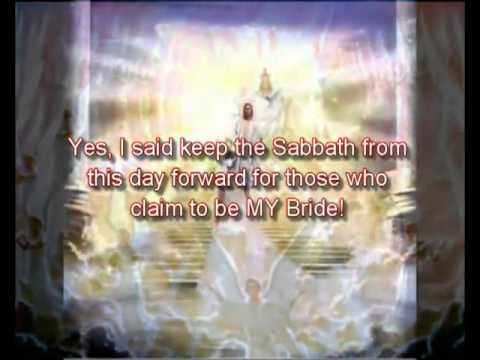 YAHUSHUA’S true BRIDE AND GUESTS wait daily for HIS return for them. In the process of waiting, they are required to live HOLY and RIGHTEOUS lives (set apart for YAH only – no other gods before YAH). Enoch and Elijah did it and so can we (Matthew 2 & 25; Revelation 7 & 14; Revelation 19; ” Kings 2; Genesis 5:24; Hebrews 11:5). 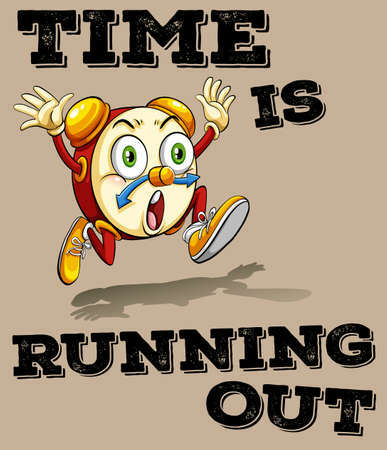 YAHUSHUA will return for those that belong to HIM and rapture them on the day set by GOD THE FATHER before and during the GREAT TRIBULATION / TIME OF JACOB’S TROUBLE. YAH (a.k.a GOD) is willing to save those that belong to HIM from going through the GREAT TRIBULATION but HE will grant every one according to his or her FAITH and PRAYER REQUESTS. Let us pray for the SALVATION of the Orthodox Jewish people. Let us not despite them because YAH loves them so very much and they still have room to repent and accept The True MASHIACH! Have you accepted The ONE AND TRUE MASHIACH/MESSIAH as your Personal MASHIACH/MESSIAH?